It’s no secret to regular Beards of Denver readers that we love the Hi-Dive, and the bearded me of the Hi-Dive sure seem to love us. On a recent Thursday night, we again made the short trek to the Hi-Dive to catch the musical styling’s of Mr. Charlie Parr. Charlie, who hails from the lovely (though usually frigid) city of Duluth, Minnesota, not only brought the house down and had the crowd kicking holes in the Hi-Dave dance floor with his original and piercing style of bluegrass/rock, he also was kind enough to talk with us about that stellar beard of his. Charli’es had his beard since he was about 16, when it assisted in his efforts to purchase cigarettes. His wife of over 20 years loves his beard—she even laughed at him on their wedding day for trimming it too short. Charlie does a close shave about once a year, but doesn’t actually shave, he explained; he bought a set of dog clippers (complete with a poodle logo) at a yard sale years ago and continues to use those—sans any attachments—to trim his great beard. Charlie’s next stop after Denver was to head to Europe for some shows; he told us a film crew from Paris was also shooting a documentary about him, which we hope prominently features his beard as well. Charlie also told us his young daughter loves his beard; except when her tootsie roll pop gets stuck in it (true story) and then the transferred hair doesn’t go over too well. 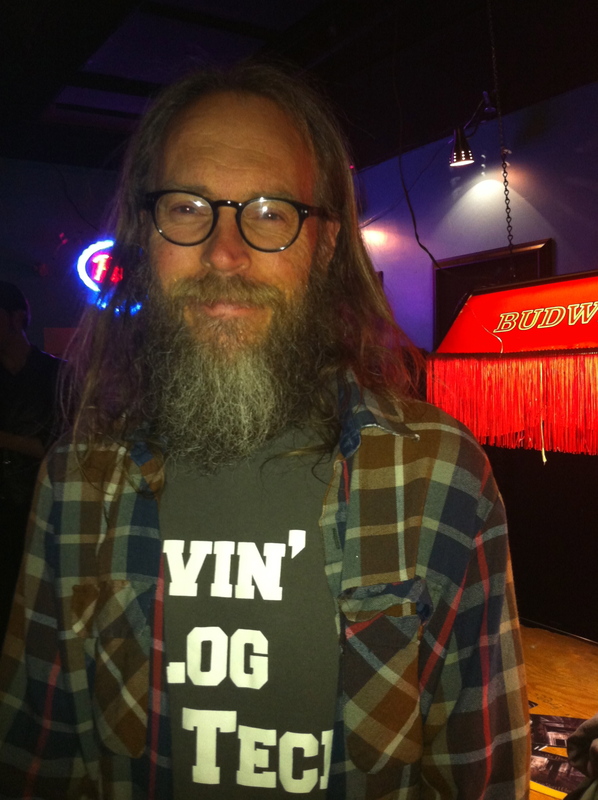 All we can say is, if you get a chance to see Mr. Charlie Parr play don’t delay one minute; you will have the time of your life; the beard, in this case, is the added bonus.